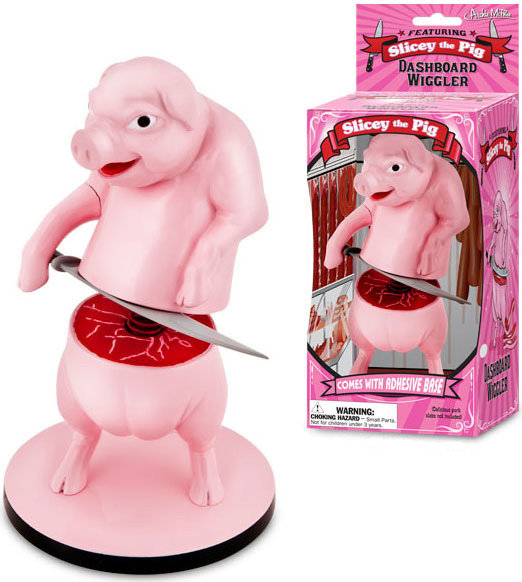 His name is Slicey the Pig and he can't wait for you to taste how delicious he is! 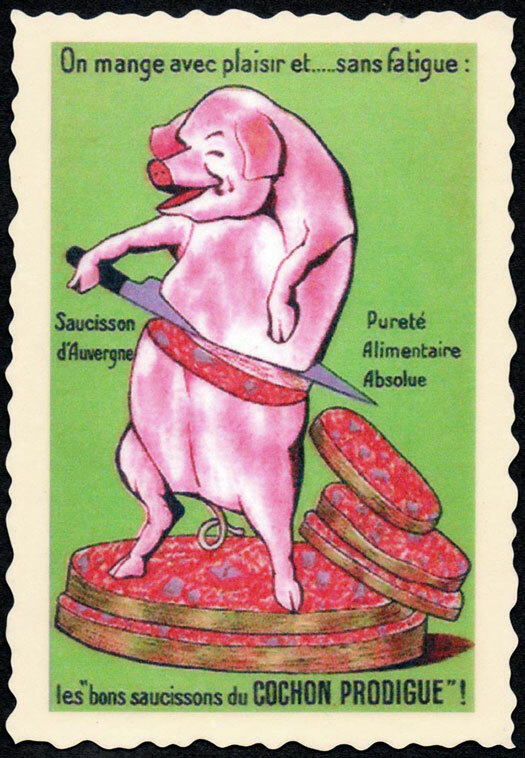 Inspired by a famous image from a 19th century advertisement, this pig is slicing himself as he bobbles back and forth. 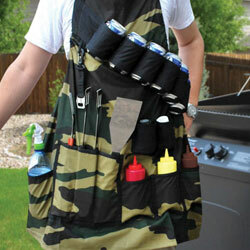 Not recommended as a gift for a vegetarian or anyone who would be disturbed by a pig slicing himself with a scimitar. This 16 cm piggy has an adhesive base that will stick on most surfaces. Use Slicey the Pig as a centerpiece at your next barbeque or meat-centered celebration. Deliciously disturbing!